Optical Remote Sensing is one of the main technologies used in sea surface monitoring. Optical Remote Sensing of Ocean Hydrodynamics investigates and demonstrates capabilities of optical remote sensing technology for enhanced observations and detection of ocean environments. It provides extensive knowledge of physical principles and capabilities of optical observations of the oceans at high spatial resolution, 1-4m, and on the observations of surface wave hydrodynamic processes. It also describes the implementation of spectral-statistical and fusion algorithms for analyses of multispectral optical databases and establishes physics-based criteria for detection of complex wave phenomena and hydrodynamic disturbances including assessment and management of optical databases. 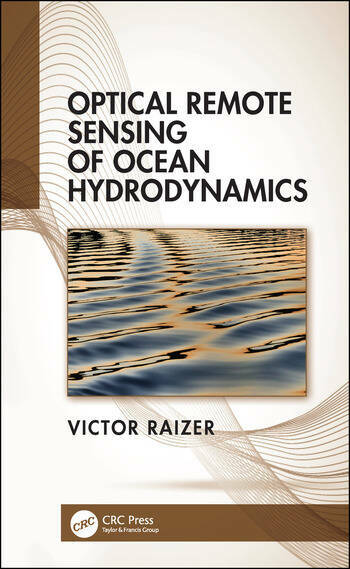 This book explains the physical principles of high-resolution optical imagery of the ocean surface, discusses for the first time the capabilities of observing hydrodynamic processes and events, and emphasizes the integration of optical measurements and enhanced data analysis. It also covers both the assessment and the interpretation of dynamic multispectral optical databases and includes applications for advanced studies and nonacoustic detection. This book reconciles competing and sometimes contradictory forms of land use, while also promoting sustainable land use options. 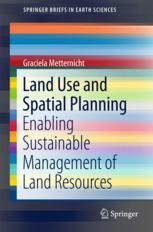 It highlights land use planning, spatial planning, territorial (or regional) planning, and ecosystem-based or environmental land use planning as tools that strengthen land governance. Further, it demonstrates how to use these types of land-use planning to improve economic opportunities based on sustainable management of land resources, and to develop land use options that strike a balance between conservation and development objectives. Competition for land is increasing as demand for multiple land uses and ecosystem services rises. Food security issues, renewable energy and emerging carbon markets are creating pressures for the conversion of agricultural land to other uses such as reforestation and biofuels. At the same time, there is a growing demand for land in connection with urbanization and recreation, mining, food production, and biodiversity conservation. Managing the increasing competition between these services, and balancing different stakeholders’ interests, requires efficient allocation of land resources. 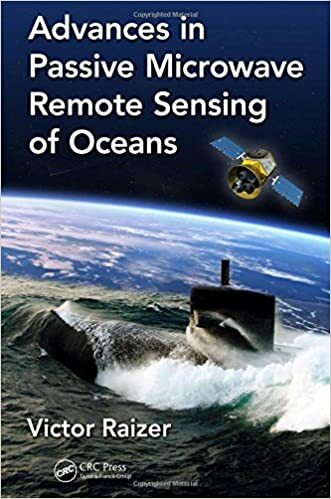 This book demonstrates the capabilities of passive microwave technique for enhanced observations of ocean features, including the detection of (sub)surface events and/or disturbances while laying out the benefits and boundaries of these methods. It represents not only an introduction and complete description of the main principles of ocean microwave radiometry and imagery, but also provides guidance for further experimental studies. Furthermore, it expands the analysis of remote sensing methods, models, and techniques and focuses on a high-resolution multiband imaging observation concept. Such an advanced approach provides readers with a new level of geophysical information and data acquisition granting the opportunity to improve their expertise on advanced microwave technology, becoming now an indispensable tool for diagnostics of ocean phenomena and disturbances. This volume addresses the physical foundation of remote sensing. The basic grounds are presented in close association with the kinds of environmental targets to monitor and with the observing techniques. The book aims at plugging the quite large gap between the thorough and quantitative description of electromagnetic waves interacting with the Earth’s environment and the user applications of Earth observation. It is intended for scientifically literate students and professionals who plan to gain a first understanding of remote sensing data and of their information content. The 2nd edition maintains its aim to provide an application-driven package of essential techniques in image processing and GIS, together with case studies for demonstration and guidance in remote sensing applications. The book therefore has a “3 in 1” structure which pinpoints the intersection between these three individual disciplines and successfully draws them together in a balanced and comprehensive manner. 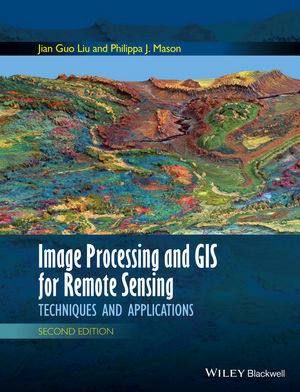 The book conveys in-depth knowledge of image processing and GIS techniques in an accessible and comprehensive manner, with clear explanations and conceptual illustrations used throughout to enhance student learning. The understanding of key concepts is always emphasised with minimal assumption of prior mathematical experience. 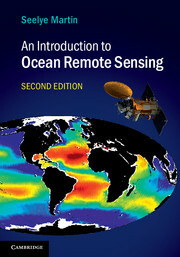 Fully updated, with significant new coverage of advances in satellite oceanography and results from new satellite missions, the second edition of this popular textbook introduces students to how remote sensing works, how to understand observations from Earth-observing systems, and the observations’ importance to physical and biological oceanography. It provides full explanations of radiative transfer, ocean surface properties, satellite orbits, instruments and methods, visible remote sensing of biogeochemical properties, infrared and microwave retrieval of sea surface temperature, sea surface salinity retrieval, passive microwave measurements, scatterometer wind retrieval, altimetry and SAR. Also included are descriptions of the online archives where data can be obtained, and readers can obtain online tools for working with the data – enabling hands-on engagement with real-world observations. 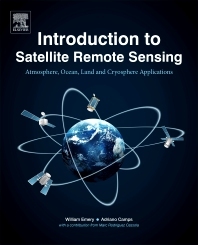 This is an ideal textbook for graduate and advanced undergraduate students in oceanography, remote sensing and environmental science, and a practical resource for researchers and professionals working with oceanographic satellite data. Satellite radar data for surface deformation monitoring are gaining increasing attention, and not only within the oil and gas community. They provide a powerful tool for remotely measuring extremely small surface displacements over large areas and long periods of time, without requiring the installation of in-situ equipment. However, apart from remote sensing and radar specialists, only a relatively small number of geoscientists and engineers understand how a radar sensor orbiting the Earth at about 7 km/s from 700km above the Earth’s surface can actually measure ground displacements of a fraction of a centimetre. This book provides a step-by-step introduction to satellite radar sensors, SAR imagery, SAR interferometry and advanced InSAR techniques. Rather than a tutorial for remote sensing specialists, the book starts from very basic concepts and explains in plain language the most important ideas related to SAR data processing and why geoscientists and engineers should take a vested interest in this new information source. This book is unique in its ambitious and comprehensive coverage of earth system land surface characterization, from observation and modeling to data assimilation, including recent developments in theory and techniques, and novel application cases. The contributing authors are active research scientists, and many of them are internationally known leading experts in their areas, ensuring that the text is authoritative. This book comprises four parts that are logically connected from data, modeling, data assimilation integrating data and models to applications. Land data assimilation is the key focus of the book, which encompasses both theoretical and applied aspects with various novel methodologies and applications to the water cycle, carbon cycle, crop monitoring, and yield estimation. Readers can benefit from a state-of-the-art presentation of the latest tools and their usage for understanding earth system processes. Discussions in the book present and stimulate new challenges and questions facing today’s earth science and modeling communities. Readership: Graduate students and scientists in remote sensing, hydrology, ecology, environment and other earth sciences. The 1000-page book covers theoretical models, system design and operation, and geoscientific applications of active and passive microwave remote sensing systems. It is designed as a textbook for a postgraduate course, as well as a reference for the practicing professional. To facilitate understanding and use of the material, the book includes 50 MATLAB-based computer codes and the book’s website includes interactive modules based on theoretical and empirical models. 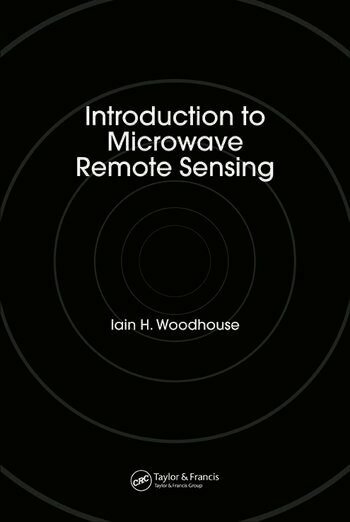 The book is a must-have for every scientist and engineer with interest in microwave remote sensing. For international orders and more information on this book, please visit the Microwave Radar and Radiometric Remote Sensing Book Resource Website. Taking an innovative look at Synthetic Aperture Radar (SAR), this practical reference fully covers new developments in SAR and its various methodologies and enables readers to interpret SAR imageryAn essential reference on polarimetric Synthetic Aperture Radar (SAR), this book uses scattering theory and radiative transfer theory as a basis for its treatment of topics. It is organized to include theoretical scattering models and SAR data analysis techniques, and presents cutting-edge research on theoretical modelling of terrain surface. The book includes quantitative approaches for remote sensing, such as the analysis of the Mueller matrix solution of random media, mono-static and bistatic SAR image simulation. It also covers new parameters for unsupervised surface classification, DEM inversion, change detection from multi-temporal SAR images, reconstruction of building objects from multi-aspect SAR images, and polarimetric pulse echoes from multi-layering scatter media. Structured to encourage methodical learning, earlier chapters cover core material, whilst later sections involve more advanced new topics which are important for researchers. The final chapter completes the book as a reference by covering SAR interferometry, a core topic in the remote sensing community. An invaluable reference for research scientists, engineers and scientists working on polarimetric SAR hardware and software, Application developers of SAR and polarimetric SAR, remote sensing specialists working with SAR data – using ESA. In the field of imaging science, there is a growing need for students and practitioners to be equipped with the necessary knowledge and tools to carry out quantitative analysis of data. Providing a self-contained approach that is not too heavily statistical in nature, Statistics for Imaging, Optics, and Photonics presents necessary analytical techniques in the context of real examples from various areas within the field, including remote sensing, color science, printing, and astronomy. Intuitive and geometric understanding of concepts is emphasized, and all examples are relatively simple and include background explanations. Computational results and graphs are presented using the freely available R software, and can be replicated by using a variety of software packages. Throughout the book, problem sets and solutions contain partial numerical results, allowing readers to confirm the accuracy of their approach; and a related website features additional resources including the book’s datasets and figures. Statistics for Imaging, Optics, and Photonics is an excellent book for courses on multivariate statistics for imaging science, optics, and photonics at the upper-undergraduate and graduate levels. The book also serves as a valuable reference for professionals working in imaging, optics, and photonics who carry out data analyses in their everyday work. This book examines the processes that support earth observation, which can help to mitigate a variety of social and environmental issues, such as devastation caused by natural disasters. To attain such objectives, the remote sensing community has turned into a multidisciplinary field of science that embraces physics, signal theory, computer science, electronics and communications. All of the applications are tackled under specific formalisms from a machine learning and signal/image processing point of view, such as classification and clustering, regression and function approximation, data coding, restoration and enhancement, source unmixing, data fusion or feature selection and extraction. Read the full abstract. Image registration is a digital processing discipline that studies how to bring two or more digital images into precise alignment for analysis and comparison. Accurate registration algorithms are essential for creating mosaics of satellite images and tracking changes on the planet’s surface over time. Bringing together invited contributions from 36 distinguished researchers, the book presents a detailed overview of current research and practice in the application of image registration to remote sensing imagery. Chapters cover the problem definition, theoretical issues in accuracy and efficiency, fundamental algorithms, and real-world case studies of image registration software applied to imagery from operational satellite systems. This book provides a comprehensive and practical overview for Earth and space scientists, presents image processing researchers with a summary of current research, and can be used for specialised graduate courses. Written by leading experts in industry and academia, this authoritative resource offers you a solid understanding of radiometer systems and shows you how to design a system based on given specifications, taking into account both technical aspects and geophysical realities. The book provides you with a complete explanation of radiometer sensitivity, and describes the concept of absolute accuracy and it’s associated problems. The four major radiometer principles—total power, Dicke, noise-injection, and correlation—are presented in detail and their sensitivities are derived from the basic sensitivity formula provided in the book. Additionally, you find detailed review of the DTU noise-injection radiometer system. This practical reference covers radiometer receivers on a block diagram level, helping you determine whether to use direct- or super-heterodyne receivers and describing how to a combine double sideband or single sideband mixer operation with a microwave preamplifier. The book introduces the basic concept of aperture synthesis, explaining the benefits of using it for remote sensing. Moreover, you gain a thorough understanding of synthetic aperture radiometers and are provided with real-world examples, including the ESTAR and HYDROSTAR sensors. This comprehensive book also covers the relationships between swathwidth, footprint, integration time, sensitivity, and frequency for satellite born, real aperture imaging systems. This authoritative reference offers you a comprehensive understanding of the underpinnings and practical applications of artificial neural networks and their use in the retrieval of geophysical parameters. You find expert guidance on the development and evaluation of neural network algorithms that process data from a new generation of hyperspectral sensors. The book provides clear explanations of the mathematical and physical foundations of remote sensing systems, including radiative transfer and propagation theory, sensor technologies, and inversion and estimation approaches. You discover how to use neural networks to approximate remote sensing inverse functions with emphasis on model selection, preprocessing, initialization, training, and performance evaluation. Images are all around us! The proliferation of low-cost, high-quality imaging devices has led to an explosion in acquired images. When these images are acquired from a microscope, telescope, satellite, or medical imaging device, there is a statistical image processing task: the inference of something—an artery, a road, a DNA marker, an oil spill—from imagery, possibly noisy, blurry, or incomplete. A great many textbooks have been written on image processing. However this book does not so much focus on images, per se, but rather on spatial data sets, with one or more measurements taken over a two or higher dimensional space, and to which standard image-processing algorithms may not apply. There are many important data analysis methods developed in this text for such statistical image problems. Examples abound throughout remote sensing (satellite data mapping, data assimilation, climate-change studies, land use), medical imaging (organ segmentation, anomaly detection), computer vision (image classification, segmentation), and other 2D/3D problems (biological imaging, porous media). The goal, then, of this text is to address methods for solving multidimensional statistical problems. The text strikes a balance between mathematics and theory on the one hand, versus applications and algorithms on the other, by deliberately developing the basic theory (Part I), the mathematical modeling (Part II), and the algorithmic and numerical methods (Part III) of solving a given problem. The particular emphases of the book include inverse problems, multidimensional modeling, random fields, and hierarchical methods. Paul Fieguth is a professor in Systems Design Engineering at the University of Waterloo in Ontario, Canada. He has longstanding research interests in statistical signal and image processing, hierarchical algorithms, data fusion, and the interdisciplinary applications of such methods, particularly to problems in medical imaging, remote sensing, and scientific imaging. An outgrowth of the author’s extensive experience teaching senior and graduate level students, this is both a thorough introduction and a solid professional reference. Material covered has been developed based on a 35-year research program associated with such systems as the Landsat satellite program and later satellite and aircraft programs. Propagation-the process whereby a signal is conveyed between transmitter and receiver-has a profound influence on communication systems design. Radiowave Propagation provides an overview of the physical mechanisms that govern electromagnetic wave propagation in the Earth’s troposphere and ionosphere. Developed in conjunction with a graduate-level wave propagation course at The Ohio State University, this text offers a balance of physical and empirical models to provide basic physical insight as well as practical methods for system design. Radiowave Propagation incorporates fundamental materials to help senior undergraduate and graduate engineering students review and strengthen electromagnetic physics skills as well as the most current empirical methods recommended by the International Telecommunication Union. This book can also serve as a valuable teaching and reference text for engineers working with wireless communication, radar, or remote sensing systems. An extensive review of remote sensing principles with an emphasis on environmental applications, Fundamentals of Satellite Remote Sensing discusses a wide range of topics, from physical principles to data acquisition systems and on to visual and digital interpretation techniques. 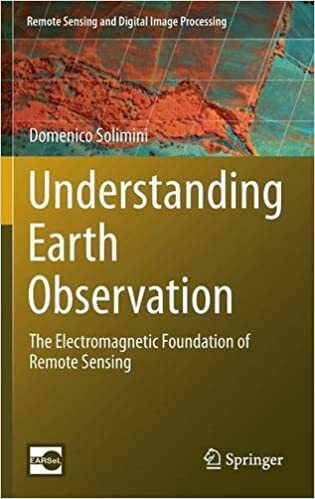 The text focuses on the interpretation and analysis of remote sensing images and how they improve our understanding of environmental processes and their interaction with human activities. The authors discuss new interpretation approaches, including hyperspectral analysis, high-spatial resolution data, and radiative transfer models. The presentation includes an analysis of accuracy assessment methods and demonstrates how to integrate remote sensing results with geographic information systems. It also covers recent missions, such as Terra-Aqua, Envisat, Ikonos-Quickbird-Geoeye and SPOT-5, as well as LIDAR and interferometric radar. The discussion of visual criteria to extract interpretation from satellite images emphasizes differences and similarities with conventional photo-interpretation techniques. A chapter on accuracy assessment and the connection between remote sensing and geographic information systems helps readers extend the interpretation of satellite images to a more operational, applications-oriented framework.